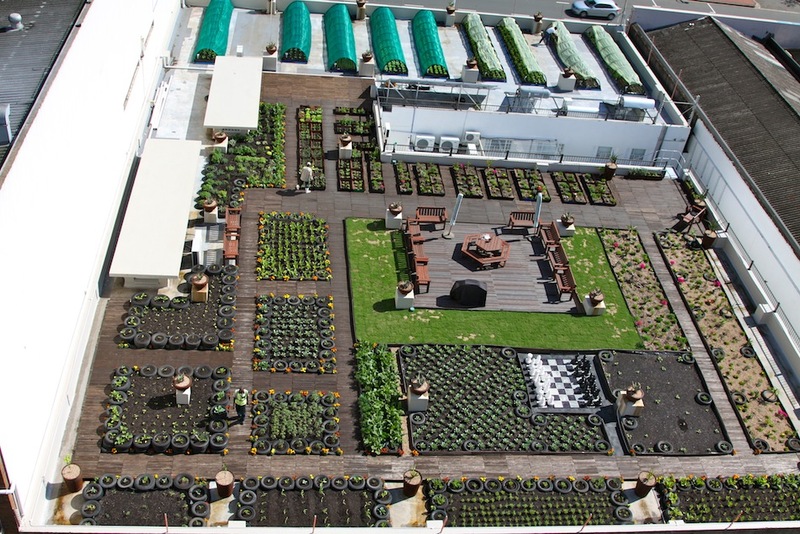 The PZ rooftop garden incorporates indigenous succulents, landscaped gardens, food landscaping, and vegetable and herb tunnels. The garden was built from recycled products including old tyres, drums and pallets. 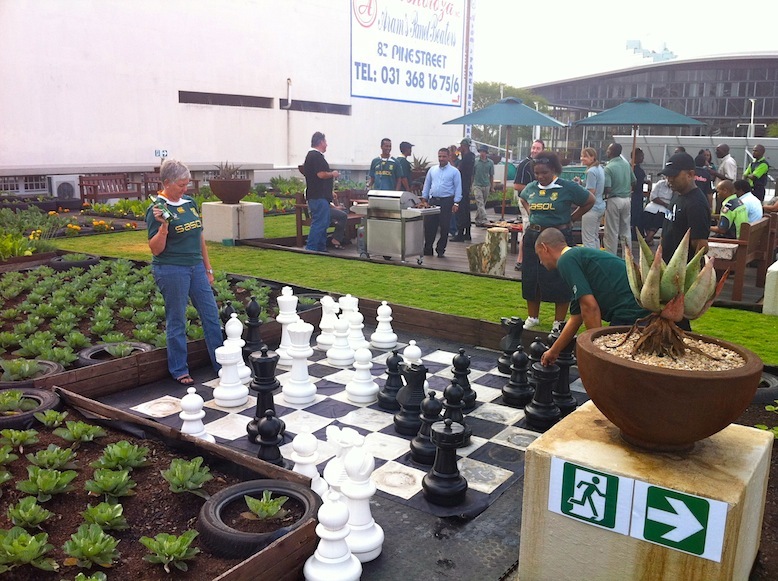 A meeting area, relaxation area and chessboard are also incorporated. Jobs have been created through the maintenance and sale of the produce grown, while a large portion is also donated to charities in the area. The garden has seen the return of birds, butterflies, and bees.